Today I have teamed up with my good friend Laura from Walking in Memphis in High Heels for an amazing giveaway. I am so excited about this one! Today Duo Boots is giving away a pair of boots or shoes of your choice to one lucky winner. If you are in need of a great pair of boots you don't want to miss this giveaway! These are literally my favorite boots, but you can choose any pair you want if you win! These come in black or gray and they are really comfortable. I love that you can measure your calf to make sure you are getting the right size that fits perfectly. Since I have smaller calves that is a problem sometimes. I love how Laura styled the black pair with a fun Fall dress. Oh and How amazing does she look for just having a baby?! Be sure to check out her amazing blog for some great inspiration and to check out her adorable new baby girl! She is just the cutest little thing! Use the Rafflecopter widget below to enter! The more entries you complete the better chance you have at winning! Good luck! P.S. I listed a few things below that are on my Christmas list! Hint Hint, Matt! Such a beautiful and stylish mommy to be! I love plaid shirts and this one is perfect! Gorgeous outfit! I absolutely love the boots, they look fabulous! This is such a lovely outfit! Love the colors of your plaid shirt and the boots look sooo good on you! I love the whole outfit! Those boots look great on. I dream of that exact pair! They look great on you! I like that they can be customized for height, so it's less intimidating to try OTKB. I have been searching for a pair of over the knee boots with a heel. These seem perfect! Amazing boots and great giveaway! I LOVE yours! The Dita boots are fab! Love both looks and the boots are great. Jade, you make on beautiful and stylish pregnant woman. Thanks for the chance--the boots look amazing! You both look so great! You look amazing in this comfy look!!! I need this! I love those same ones in black, my favorite pair of boots literally fell apart this week! I love the pearls and plaid, so comfy and chic! Your boots are amazing! I love the whole look! The pair of Duo shoes I would pick would be the Romi over-the-knee boots! They look like the pair you wear in this: http://www.aspoonfulofstyle.com/2014/10/mustard-sweater-dress.html#.VGoE7FfF8Xc and I've been obsessing ever since! This is an awesome giveaway! I would love to win and would pick the exact pair you have one. I have been wanting a grey OTK boot! This outfit is so cute! You are an adorable pregnant lady! I love the Dita and the Mena! I love the Sala boot! And I'm so excited that you can customize the calf size! Love those boots! So adorable and the grey suede is beautiful! Love the boots you have.... and that you both paired with plaid. So fall! Love these dita slate grey boots and also the mena in forest green! perfect for this time of year! Love the grey boots and love your style! I love your grey boots because of their versatility. You can dress them up or down! I would choose the Somerset boots in brown! They are just adorable! I would choose the DITA boots - love them all!! So many great boots! It would be so hard to choose but I love Arna and Santana! I would choose the boots that she is wearing in gray! I have been looking for a great pair of over the knee boots and these are perfect!! You are adorable! Love the boots!! You look amazing! Those boots are seriously gorgeous and I'm loving that yall are doing this giveaway! I've been on the hunt for grey knee high boots too and these are perfect!!! Looking good as usual. Thanks for the awesome giveaway! Loving this outfit and boots!! What a stylish mommy to be! Love love loooove the boots, and the gray color you have is fantastic! Love the grey Dita boots! What a great giveaway!! Love the over the knees boots! I would love the black boots! I have been eyeing a pair of Betsey Johnson boots just like these! I also have small calves and would love to own the Dita Duo boots in black suede!! I have the hardest time finding boots to fit properly, and knowing Duo makes boots to fir perfectly is awesome!! Love your blog and style....keep up the great work!!! I would LOVE the gray boots! Duo boots are seriously the best - I cant believe they are one of the only companies who measures calves for the perfect boot fit! Without a doubt, I'd choose the ROMI black leather over-the-knee boot - exactly what I've been hunting for! I like the Annika boots. I would love the Dita over the knee boot in grey suede! So lovely! i have been waiting for this giveaway for a few days!!! Yay!!! You are sooo stylish, and I would LOVE to have some of those boots! They are perfect for pretty much any occasion! I forgot to post which boots I would DIE for, and it would be the grey suede DITA over the knee boots! I would love the Abel ankle boots. I'm nit sure if my comment posted but I love the gray dita over the knee boots! I would get the Dita in your color or the Enola! But all of their boots are gorgous! And you are looking absolutely fabulous Jade! Seriously coveting these boots! Such a gorgeous mama to be! Loving the somerset and romi boots in black from Duo boots! You make the Dita look so amazing, I'd have to go for those! I also have chicken legs, so I love the calf options offered. Love the Dita boots on you! They look gorgeous! Since I'm clumsy in heels, I'd have to go for the Rika boot! I love your style! Always fashionable, but never overdone! Congratulations on your aoon to be journey into motherhood :). As a mom to b/g twins I have to say being a mom is the best. Love every second, it goes way too fast! I would pick the OTK Duo boot in gray-you make it look great! Love the super tall boot look! LOVE those boots, they look like the SW's but at a much better price point. I would definitely choose those in grey if I won! I like the Sala tan boots! I love The leopard stinas! Love the gray Dita Boots! Perfect color and heel height. And gray is my favorite color! I would choose Brindisi knee high boots in waxed nubuck, brown color. Thanks for this great giveaway, my favorite boots are the Florence boots! Yes, those are really nice boots! I was checking them out already! Both of you look amzibg amazing! Also thank you for sharing a great giveaway. If I win, I will love the "Dita". I have been desperately looking for a pair like this. I'd love a pair of Minas or romonas in black suede. I love the pair youre wearing, Jade! I like the Asta Tall Boots. great outfit! Im really loving your boots! They are fantastic and look comfortable too!! Love your blog and the brown Somerset boots! I like the Sala boots in black. I could really use those boots in my closet! They are gorgeous!! Love the exact boots you are wearing!! LOVE LOVE!! So hard to choose! But I think I would get the Flore boots in brown! I'm in need of some knee high brown boots! I love duo boots! i would especially love the Malene style boots if i won the giveaway! I could use a classic pair of brown leather boots in my wardrobe! Love the boots in the post! Would definitely rock these! Also, please check out my blog I talk about fashion, beauty, and life ! I would totally want the black ones! It's so hard to find a pair that fits well when you have skinny calfs!! Love the Dita boots and the green Mena's! I love these boots, I'm so picky when it comes to boots because I'm so tall but these are perfect and go with everything! You have been such an inspiration to me with your style and recent maternity style. I just had a baby and your outfits motivated me to style the bump even when I felt like sitting on the couch in pajamas with a bowl of ice cream! You will love you little one unconditionally, it is seriously the greatest day of your life! Love your outfit!!! Those Duo boots are so cute. :) Such a hard choice to choose. I love the RIKA Over-the-knee biker style boot in brown! I like the cheetah MANDEL ankle booties from Duo Boots. The Laverne booties are BEAUTIFUL! I think I would live in them! Thanks for such a great giveaway! I love the DITA OTK in black suede! Gorgeous!! I LOVE The grey pair you are wearing! Amazing!! I like the Rika & Mena boots. Don't quote me on this, but I love the Elin boots! I love the Santana boots in brown or the Abel boots in black! Dita OTK boots! Gorgeous in every color! Love them! Definitely the grey OTK boots you have been wearing. They are absolutely adorable! I just recently found out I am pregnant too and would love to look as cute as you do when my bump starts to grow! Love the classic black ones! I would choose the Dita pair you are wearing. LOVE them! Love the ones you are wearing!! perfect heel height! I want your boots. I love the gray suede and the otk style! I love the mimosa boots! Love the Sala tall boot in brown! Love these boots in gray! You have amazing style, especially maternity style! 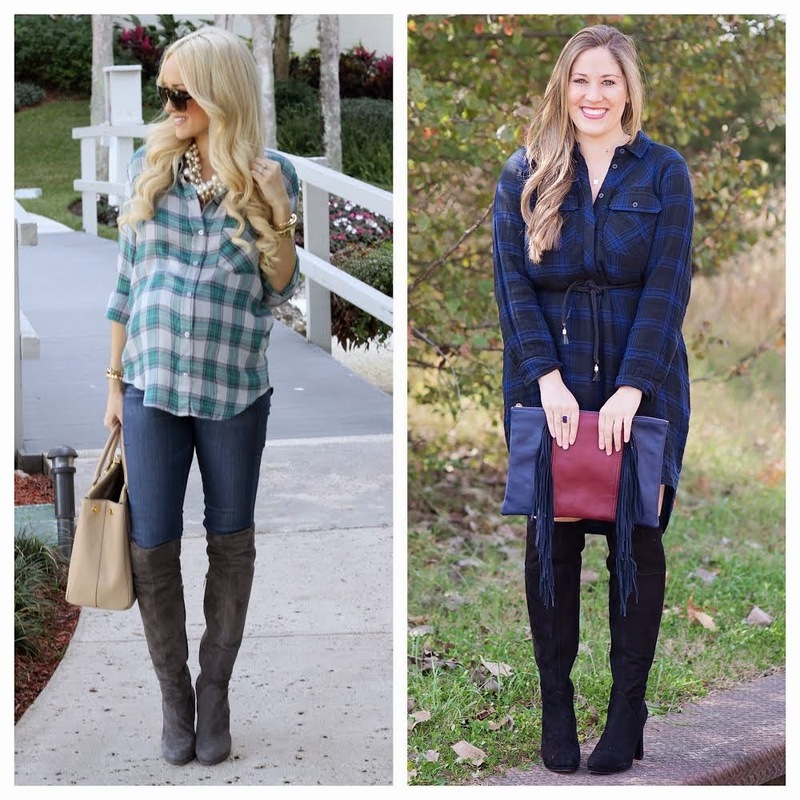 I loved wearing non-maternity items when I was pregnant :) I love the rika boots, I look forward to boot season every year! I have to chase after a two year old and one year old twins, so flat boots are a MUST :) but ultimately I am a girlie girl and love the Dita boots! Thanks so much for the chance to win an amazing pair of boots!! Love the way you pair your skinnies and boots - the cutest outfits! I like the Denver boots, but also love the grey ones from this post! I would choose the Falco in Cherry suede. Btw, I love those knee high platform plack suede boots on the website. They are gorgeous! I think I would choose the JETTE. If I won I would choose the ROTHEL ankle boots. I would choose the Gable ankle boot. One I really like is the Mandel in calf hair. I like the Gable ankle boots. I'd probably choose the Dita boots. I would choose the tan suede MANDEL Ankle boot, they look cute and comfy. I like the IDAHO boots in black. I would choose the FADER Knee high biker boots. I would choose the Dita boots you are wearing. I love the color! I would choose the brown Rika or the grey suede Dita! They're both so cute and it's hard to choose! I would get the Morton Boots. I love the style.